A key philosophy of the school, since its establishment, has been that tutors should not only be tertiary qualified, but also actively working in the industry. This allows the student to gain the benefits of the tutors "professional" experiences and up-to-date knowledge of their industry. NB: Some modern diplomas and degrees are shorter than 2,000 hrs. Diplomas can even be well below 1,000 hrs. While graduates from shorter qualifications may appear to be well qualified, it is obviously difficult for anyone to reach the same level of "learning" in a much shorter course. When you study here, you can be confident that your tutors have undertaken and passed courses at a high standard. 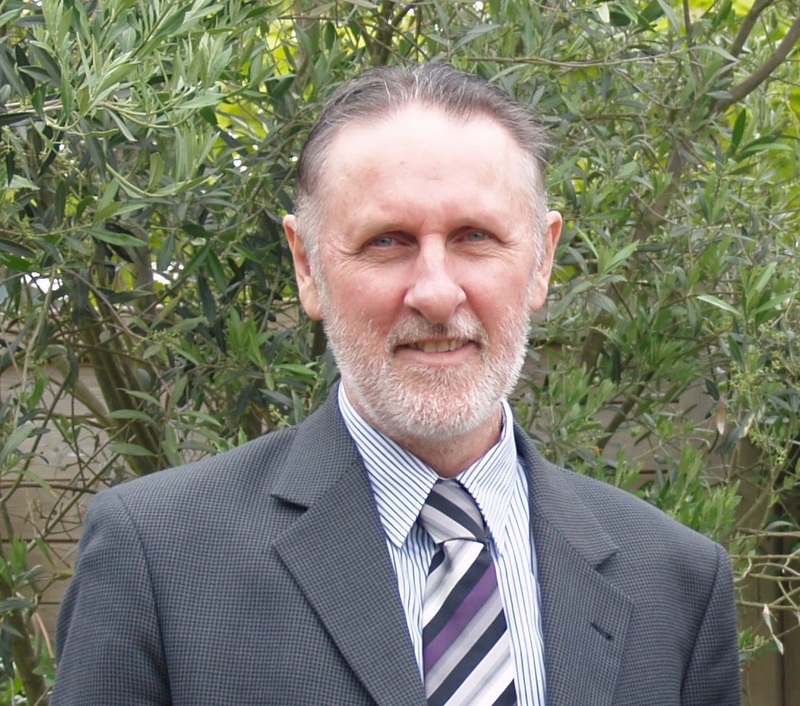 Mr Mason has worked for over 45 years in the disciplines of Horticulture, Management, Education and Journalism. He has extensive experience both as a public servant, and as a small business owner, and has been editor for five different national magazines in Australia. He had his first work published in 1967 (prose) and was writing a regular newspaper column by 1973. John's published works include best selling books (one has been reprinted 11 times). There are over 100 books published which he has written. Maggi is regarded as an expert in organic growing throughout the UK, having worked for two decades as Education Officer at the world renowned Henry Doubleday Research Association. She has been active in education, environmental management and horticulture across the UK for more than three decades. Dr James Euclid B.Vsc. (Hons), B.VBiol (Hons), PhD. Dr James Euclid graduated with honours in Veterinary Science from the University of Queensland, Australia in 1985. After 5 years in mixed practice, he undertook a PhD in Veterinary Parasitology at James Cook University in Queensland. Upon completion, he tutored at the University of Melbourne. After a year, he returned to general practice. He has since written two books on veterinary clinical practice and runs his own practice in Melbourne, Australia. Kate has more than a decade of experience working in business development, education and marketing. She has traveled and worked in a variety of locations including: London, New Zealand, and Australia. Kate has contributed to many published works (books, magazines, newsletters, blogs), and is an accomplished and highly respected professional internationally. Rosalie Hofman H Dip Ed (Wits); F Dip. In Education (Computer Science); Cert. IV in Workplace Assessment and Training. Rosalie has 20 years experience in various subjects and fields in several countries. She has also been the National Examiner for Business Economics for the Independent Examination Board for 2 years. Denise Hodges Adv.Dip.Bus., Dip Clothing Design, Adv.Dip.Naturopathy (completing) Formerly Promotions Manager for ABC retail, Fitness Programmer/Instructor, Small Business Owner, Marketing Coordinator (Laserpoint). After trying out a number of career directions, Denise studied Marketing, and honed her skills by working in promotions for the ABC for 10 years. However, Naturopathy studies have allowed her to share and further indulge her real passion, which lies in health and wellness. Denise continues to enjoy learning and sharing her interests with others. Bob has 40 years experience in industry, having held a wide variety of senior positions in both government and private enterprise. B.Sc. (Hons) (Psychology), M.Soc.Sc (social work), DipSW (social work), PGCE (Education), PGD (Learning Disability Studies). Karen graduated with first class honours degree in Biological Sciences from Lancaster University and subsequently completed a Postgraduate diploma in Nutrition and Dietetics from Leeds Metropolitan University. Karen is a registered dietitian with over 10 years of experience of working in the NHS. Karen has undertaken a number of research projects and has lectured to undergraduate university students. Former Business Coordinator, Scottish Environmental Protection Agency, Secondary School teacher (Biology); Administrator (Recruitment), Senior Supervisor (Youth Welfare). Lyn established and managed Health clubs at three major five star resorts on Australia's Gold Coast, including The Marriot. She was a department head for a large government vocational college (TAFE), and has conducted her own aquafitness business for many years. Lyn has amongst her other commitments worked as a tutor for ACS for almost 10 years, and over that time, participated in the development or upgrading of most courses in her fields of expertise. ACS is a Vocational School and Technical School; offering OVER 600 Online Training Courses and e-books.